Our academic partners are driving Greater Copenhagen’s ambition to become a leader across a wide spectrum of lighting research. One of the most important, and urgent, research work is to help municipalities to find sustainable solutions for future LED investments. 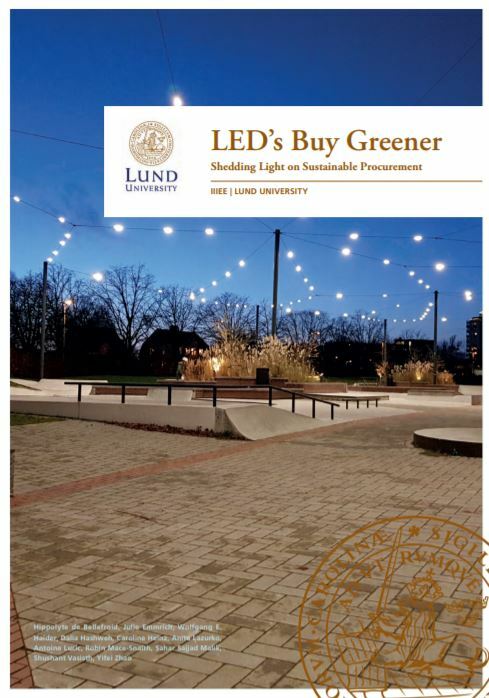 The International Environmental Institute, IIIEE, at Lund Unviersity, now publish their latest research regarding environmental impacts in the life-cycle of LED, as well as a review of the decision-making process in partner municipalities when procuring lighting solutions. The report provides important knowledge and recommendations to improve decision making for sustainable lighting solutions. The publication is the collective work of both students and staff engaged in the Lighting Metropolis project at IIIEE.